One morning during our recent tour of Salt Lake City, Utah, we visited Red Butte Garden, which happened to to be one of the lovliest botanical gardens I’ve seen. Located just 11 minutes from downtown, this beautifully landscaped space is set against a stunning backdrop of the Wasatch Mountains. Eleven themed gardens are set along well-maintained paths in Red Butte, which has the distinction of being Utah’s Botanical Garden and State Arboretum. 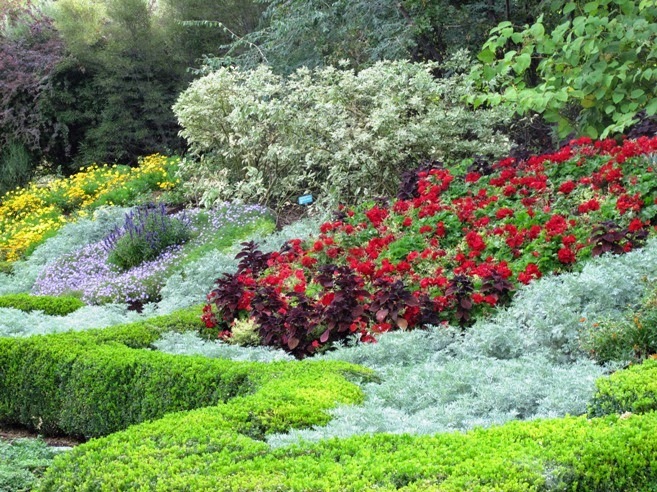 Take time to meander gently through the medicinal garden, all-season garden, children’s garden, herb garden, fragrant garden, and more—each a complete garden space with benches and water features to entice visitors to linger. 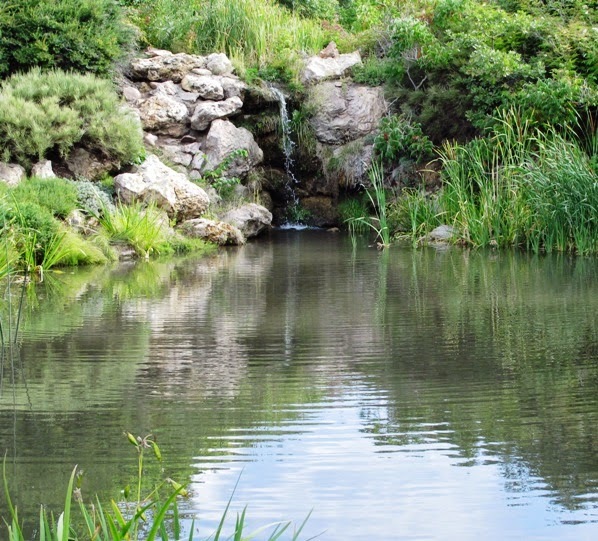 A large pond draws visitors to the far end of the Dumke Floral Walk, a marvelous expanse filled with berms (mini-hillsides) exploding with various hues of the rainbow. Blue, white, pink, red, purple, orange—we saw many shades of flowering and foliage plants in. Tall spiky specimens shadowed low-growing varieties that spilled over the walkway. 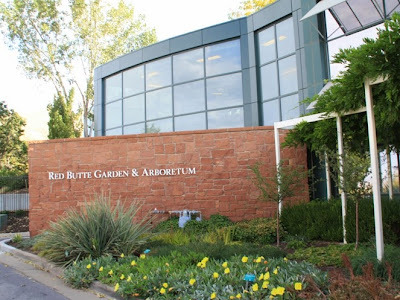 Plan to spend at least an hour at Red Butte Garden. If you have more time, bring a book to read or a snack to enjoy as you sit awhile and absorb the calming effects of nature’s beauty. For those who crave more action, several trails on the outskirts of the garden lead to natural areas and beyond and provide expansive views of the landscape. Quarry Trail, Prospect Point, and Oak Tunnel are possible routes to take for more activity. The Natural History Museum of Utah. 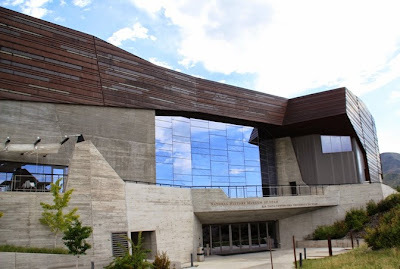 Just minutes from Red Butte Garden, you’ll find an extraordinary building, The Natural History Museum of Utah at The Rio Tinto Center of The University of Utah. 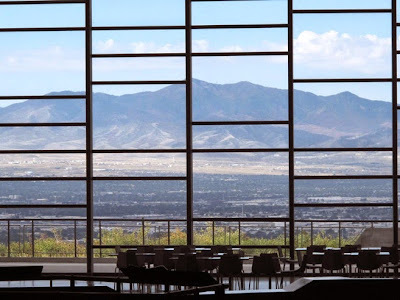 Perched high on the foothills overlooking Salt Lake City, the museum’s exterior is covered with stunning copper tiles that gleam a bright golden-green in the sunlight. Excavated in 2009 from Kennecott’sBingham Canyon Mine, just 22 miles to the west, copper makes the architectural icon both beautiful and sustainable. Exhibits in the modernistic building include historic artifacts, science specimens, and hands-on experiences that relate Utah’s unique natural history. One easy way to tour the museum is to sign on to the museum’s Wi-Fi and use the Trailhead to Utah smartphone guide to help you explore numbered markers or to dig deeper into the stories behind the exhibits. 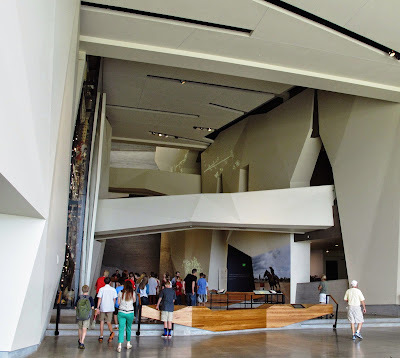 On five floors you’ll see exhibits that cover Native Voices, First Peoples, Sky, Life, Land, Great Salt Lake, and more. 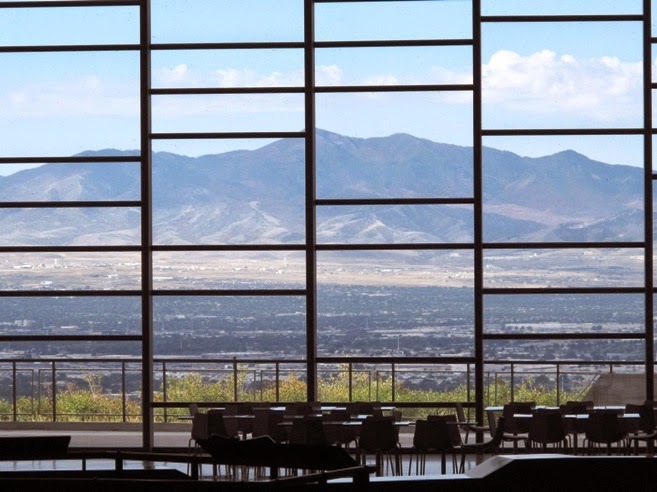 Take a few minutes to wander out on the Sky Terrace on level 5 for exquisite views of Salt Lake City and the mountains beyond. A special exhibit called The Horse, which also focuses on the Utes, is currently on display in the museum’s gallery through January 4, 2015.
windows at The Natural History Museum of Utah. As part of the University system, the museum is designed with labs that provide space for scientific research and education, a distinction that makes the museum even more valuable to the area.